Dobson’s Run, originally a stream, now flows underground in an existing 8 ft. 6 in. diameter brick conduit that was constructed in the early 1900s between Henry Avenue and the Schuylkill River in the City’s East Falls section. During large storm events, this conduit has inadequate capacity to handle the large amount of storm water run-off. Under this Contract a new 12 ft. 6 in. 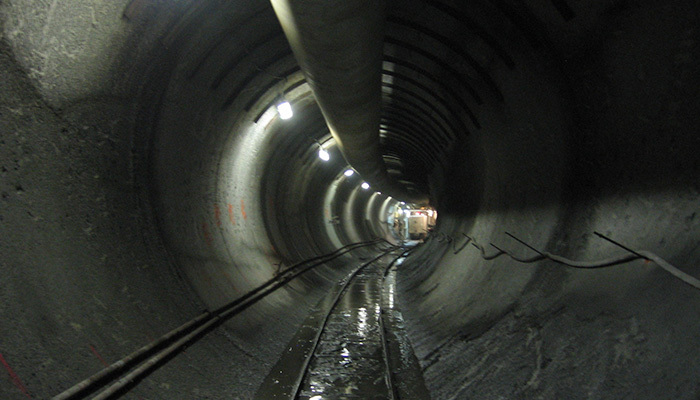 diameter cast-in-place concrete tunnel was constructed that diverts a substantial volume of this storm water flow to alleviate flooding in this area. 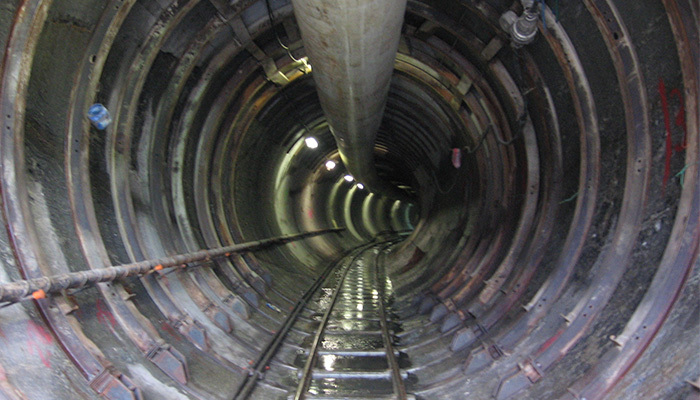 The tunnel was excavated with a TBM through an extremely dense mica-schist rock formation. The project presented a couple of unique challenges. First, the tunnel was excavated in two drives that intersected each other at a 90 degree angle into an underground chamber (with no surface access). 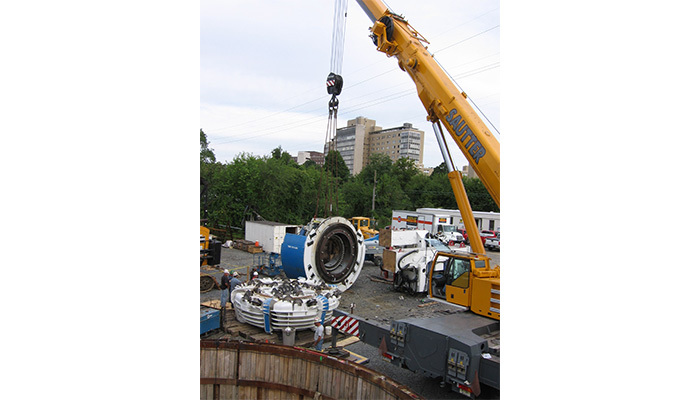 This meant that the TBM had to be backed out of each tunnel after excavation was completed. Second, a portion of one of the hard rock tunnels actually had soft ground protruding into it. 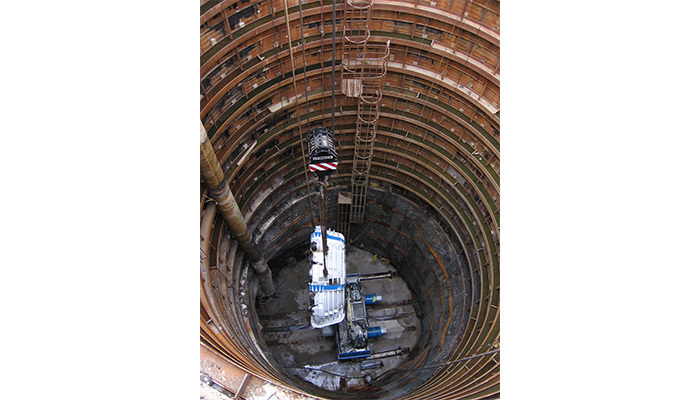 This required the use of tube-a-manchette grouting and soil nails in order to stabilize the ground to prevent ground loss as the TBM passed through.